The spiciness of a chili pepper is not in its seeds but in the white pith inside the pepper. Capsaicin, which is the chemical compound that contains fiery heat, is actually concentrated in the inner white pith or rib of the chile pepper. While the seeds may be coated with some of the capsaicin since they're in contact with the rib, they themselves don't actually contain any heat. 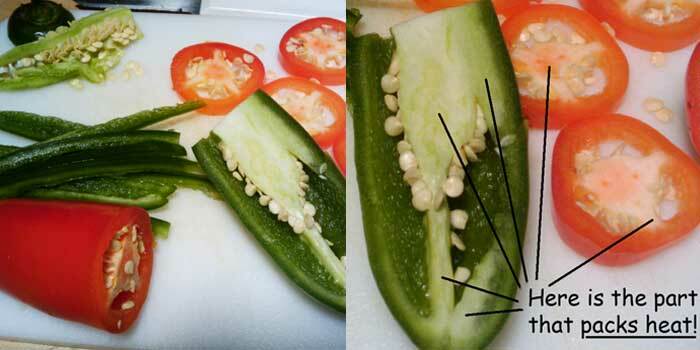 This is a good reminder that if you want to take some of the heat out of the pepper, be sure to cut away and remove the pith and rib in addition to the seeds!